Paperback, 6.75 x 9.5 in. / 240 pgs / 100 color / 100 bw. 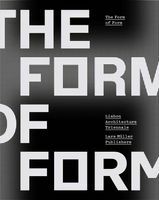 Essays by Hans Ibelings, Aaron Betsky, Vladimir Stissi, Martien de Vletter, Jean Paul Baeten, Jaap Jan Berg, Herman van Bergeijk, Joosje van Geest, Marieke Kuipers, Ellen Smit, Marinke Steenhuis, Marcel Teunissen, and Mariet Willinge. 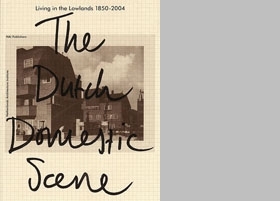 Living in the Lowlands offers a kaleidoscopic overview of one of the most important themes in Dutch architectural history: living and the home environment. Fifteen domestic scenes illustrate important points in the history of housing construction in the Netherlands since 1850; all are representative of prevailing Dutch design philosophies and the internationally respected Dutch public housing tradition and living culture. Specific periods are addressed on the basis of selected projects: Amsterdam's Vondelstraat by P.J.H. Cuijpers, Plan Zuid by Berlage, Amsterdam's Betondorp (Concrete Village), the Kiefhoek by J.J.P. Oud, Rotterdam's Pendrecht and Alexanderpolder neighborhoods, Almere, Amsterdam's Nieuwmarkt neighborhood, and Ypenburg. Utopian designs by the architects H.T. Wijdeveld, Cornelis van Eesteren and OMA are also included. Together the projects constitute an historic typology of urban living and a cultural-historical exposé about domestic life in the Netherlands. 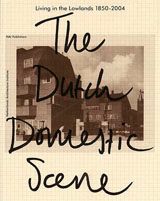 Each domestic landscape is described by a different author in a brief and sometimes highly personal text and illustrated with visual documentation from the collection of the Netherlands Architecture Institute. FORMAT: Paperback, 6.75 x 9.5 in. / 240 pgs / 100 color / 100 b&w.